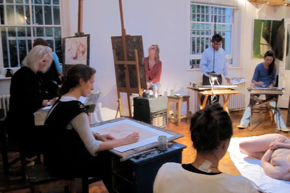 The studio is five minutes walk from Notting Hill Gate tube station. There are buses from most directions and parking is easy after 6.30p.m, which is good for the evening classes. 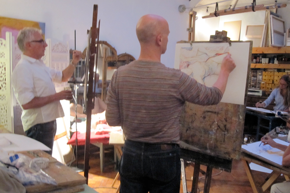 The studio is equipped with easels, tables and drawing boards. to feel free to experiment. A selection of papers can be purchased at cost, or you can bring your own. Essentially, everything is here that you need, including tea, coffee and biscuits!